offers accomodation in Tatranská Lomnica - High Tatra. It is situated near to the centre, railway and bus station. Pension Belin is a large house in its own spacious garden with a small brook running through it. There is a children's playground in the grounds, garden barbecue, a court for basketball which is altered to a skatingrink during the winter. 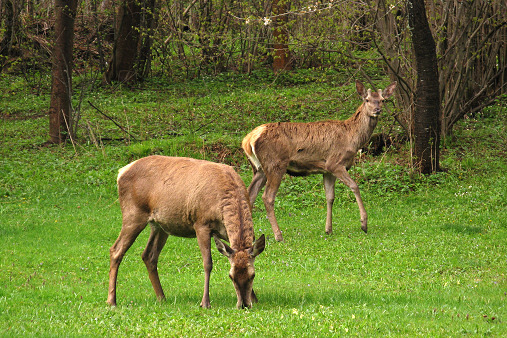 Guest parking is right in the backyard. 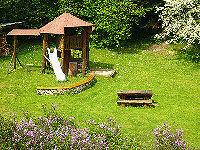 The pension offers accomodation in the double rooms and four-bed rooms with bathroom. 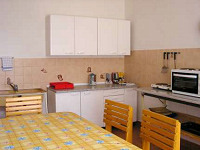 Our guests can use the self-service kitchen in combination with the TV room and relax on the sunny terrace. 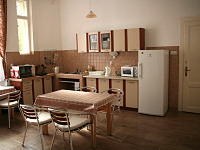 There are also self-contained apartments for 4 persons. Each has two rooms, its own bathroom, toilet and kitchen.